Drop Them Off. Go Have Fun. Just Remember To Pick Them Up. You deserve a night on the town. Meanwhile, your kids want to play and have fun. That's why we offer Parent's Night Out - a win-win evening for families. 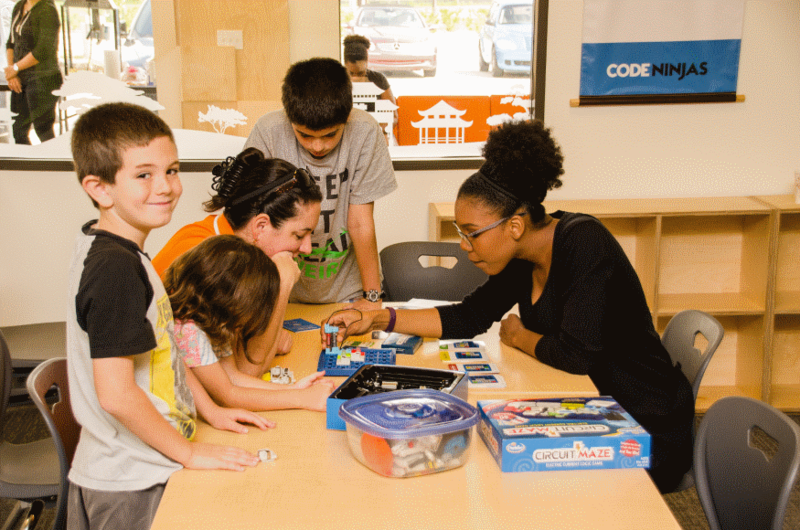 Drop off your kids at Code Ninjas, where they'll play games, assemble puzzles, build robotics, and more. Once you've had a chance to unwind, swing by to pick them up (please) and hear about all the fun they've had! Request More Info Open to the public, but RSVP please.